After writing about Emotional Intelligence for years, Daniel Goleman is pleased to announce the release of his Emotional Intelligence Coaching Certification Program. The program is in-depth, akin to a professional degree, and is intended for coaches or those interested in coaching for Emotional Intelligence. It draws upon evidence-based behavioral change theory, positive psychology, unconscious bias, compassion training, neuroscience, Mindfulness-Based Stress Reduction (MBSR) Techniques, and Emotional & Social Intelligence. Students will be trained in these concepts and applications, as well as in a defined coaching philosophy they will practice with clients. The first cohort is currently underway. If you interested in applying to the 2019 cohort, please register your interest here. In the months to come, Daniel Goleman will also release online-based and facilitator-led training programs for Emotional Intelligence at a lower price point. These will be geared towards personal development of Emotional Intelligence. Time: 1:00pm. Learn to repattern old habits of thinking, feeling, acting, and interacting. 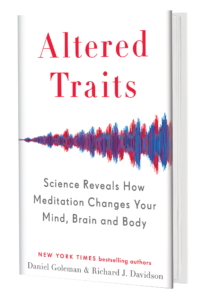 Drawing from their books, Focus, Mind Whispering, Emotional Alchemy, and Emotional Intelligence, Tara Bennett-Goleman and Daniel Goleman integrate the sciences of attention and habit change with Eastern and Western psychologies.